Yanagita Kunio’s “Tono Monogatari” is mainly the recollections of Tono-native Sasaki Kizen. Sasaki was a researcher of local legends, and also harbored dreams of becoming an author himself. Gathered here are the many stories passed down through generations from parent to child in the Sasaki household, including myths and legends, folktales and traditions, ghost stories and fairy tales. Sasaki told them with out any particular order, plot, literary structure or device, and Yanagita wrote them down accordingly. Together these stories and Yanagita’s other books became the foundation in Japan of minzokugaku, or folklore studies. 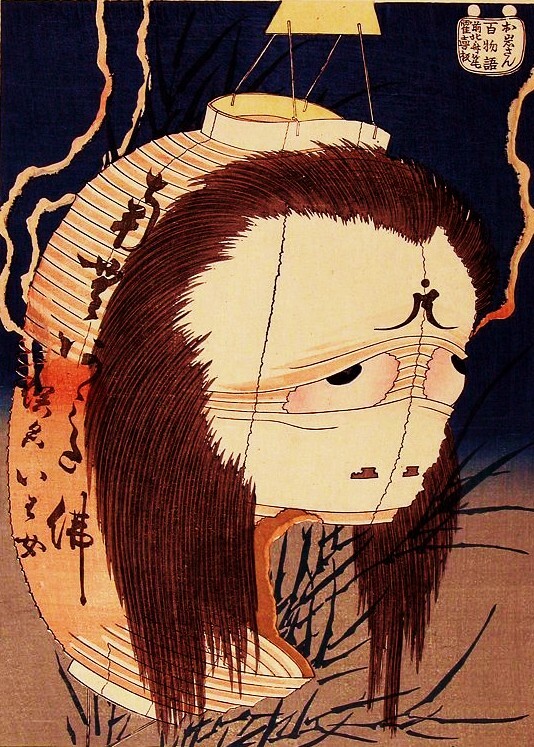 2010 celebrates the 100th anniversary of the initial publication of “Tono Monogatari,” and Tono has planned many events in recognition of this milestone. This book is one of those events. Tono itself retains many of the characteristics and atmosphere that it had in Yanagita’s days. With the images of this book held in your heart, you can visit Tono and be transported back a hundred years to when the stories were first written down. Tono is found in the northern Japan, in the southern mountainous district of Iwate prefecture. Located in a valley basin and ringed by three holy mountains, Tono can find on either side Mt. Hayachine, Mr. Rokkoushi and Mt. Ishigami. Together, these are called the Three Mountains of Tono. The middle mountain, Mt. Hayachine, also forms a part of another group known as the Three Southern Mountains including Mt. Iwate and Mt. Himegami. As the most outstanding and prominent of the mountains, Mt. Hayachine has been an object of worship for thousands of years. Fukuda Kyuya included Mt. Hayachine on his list of 100 Famous Mountains of Japan. If you visit Tono you will find that there are elements exactly as in the book. Story number 98 tells of large rocks by the side of the road with the words “mountain kami,” “kami of the fields” and “kami of the village entrance” carved in them. These can still be seen today. The many kami of Tono are even now celebrated, including amongst their number the honored dead, important pilgrimages, and even a “kami of wives.” At the shrine of the kami of wives you can see people praying for good fortune in marriage, or for the blessing of a child, or even those mothers who have lost a child praying for its soul. It is these stories, passed down through the ages, which have been collected and bound as “Tono Monogatari.” What you won’t find here are tales commonly told to children, no classic morality stories of “The Boy from a Certain Village Who Went in Search of Adventure.” Instead, what you will find are raw stories that sprang from real people. There are stories of strange circumstances and suspicious encounters (some even filled with blood and gore). The storyteller who filled children’s head with these stories as night fell also bound them together as a people, providing a collective narrative of society to be shared with each successive generation of children. However, there are only about twenty-five left of these storytellers. And while about six of these can be found in a proper performance, the rest are probably found at the train stations, serving as tour guides to visitors. They ask no fee, but are just there to share their body of lore when the occasion calls, at anytime to anyone.